We all love our hair and spend a lot of time and money to keep them healthy, thick and vibrant. Unfortunately, having great hair doesn’t come without some effort, and there are some wrong hair practices that you are doing unintentionally and damaging your hair. If you are one of those, stop repeating the same mistakes and get your hair healthy, strong and vibrant again. Who doesn’t like to take a long hot shower? It’s not only enjoyable especially in the winter, but it’s quite relaxing too. Whether you use it to start the morning, taking one before bed or post workout, it can be pretty relaxing to enjoy a steamy wash. But wait, do you know the hot water dehydrate not only your skin but also your hair. 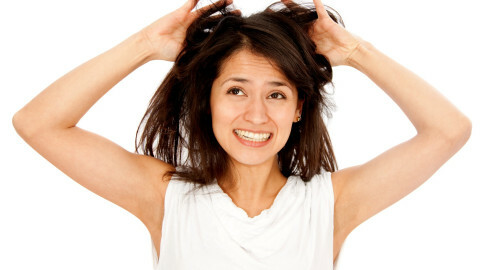 While using hot water hair and skin loses their moisture leaving them dry, itchy along with frizzy and brittle hair. So it’s important to turn the heat to low. One more thing you can do is turn off the hot water and take a cold shower for 30 seconds. It will not only help you replenish the lost moisture but also has health benefits like an anti-depressant and strengthening the immune system. Ahh… What a relaxing shower it was, and suddenly you know that you are getting late from work. It’s freezing outside, and you cannot leave your hair wet, so the towel comes in handy. You vigorously rub your hair with the towel and try to dry them as soon as possible. You got the dryness to save them from the chill wind, but you didn’t count the damage you have done to them. Yes, you heard me right the damage! Hairs are prone to damage when they are wet and on top of that when you combine them with forceful rubbing the damage is twofold. Rubbing not only creates the knots but also making the roots fragile. In the quest of complete dryness of your hair probably your next move would be to grab the blow dryer. You plugged it in and voila a steady hot air flow is at your disposal. You turned the dial to high speed and swoosh around the hair. In a few minutes, you got the full dry hair. This is what we all are used to. This little magical machine if not used properly resulting more harm than good. 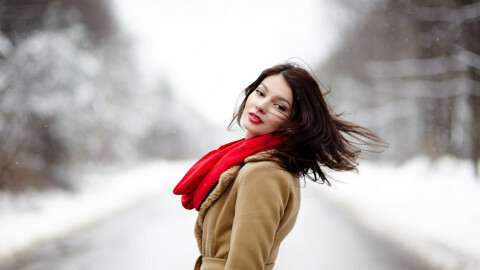 Always prime your hair with thermo-active heat protector and hold the hair dryer six inches from your hair. Don’t overuse the dryer and stop drying just short of complete dryness. If you use hot hair styling tools frequently than this guide is a must read How to use hair styling tools? Even though it is so robust, hair can still be damaged by over-enthusiastic brushing and combing, especially when it is wet. (Hair is weakest when it’s wet.) Metal combs are particularly hard on the hair. Wide-toothed, hard rubber combs are good for hair. Starting from the top, detangle the hair, making sure to brush in the flat direction of the cuticle, from the hair’s roots toward its tips. A side part is less severe, therefore less damaging than a center part. Or you can divide hair strands into several sections and then gently brush from the bottom up. To do this, hold your hand on a section near the bottom, brush under your hand, move your hand up, brush down and continue until you’ve reached the hair roots. One last thing, always use clean comb or brush because hair stuck in the comb may cause the friction while combing. Friction may erupt the outer protective layer of the hair ending up with dull hair. Test your hair knowledge How Well Do You Know Your Hair? This exclusive list of “4 Wrong Hair Practices Damaging Your Hair” may just change the way you care your hair for good. What do you think of these interesting tips? Do you have any other hair care tips that you would recommend? Let us know in the comments. Please SHARE this important and interesting information with friends and family!